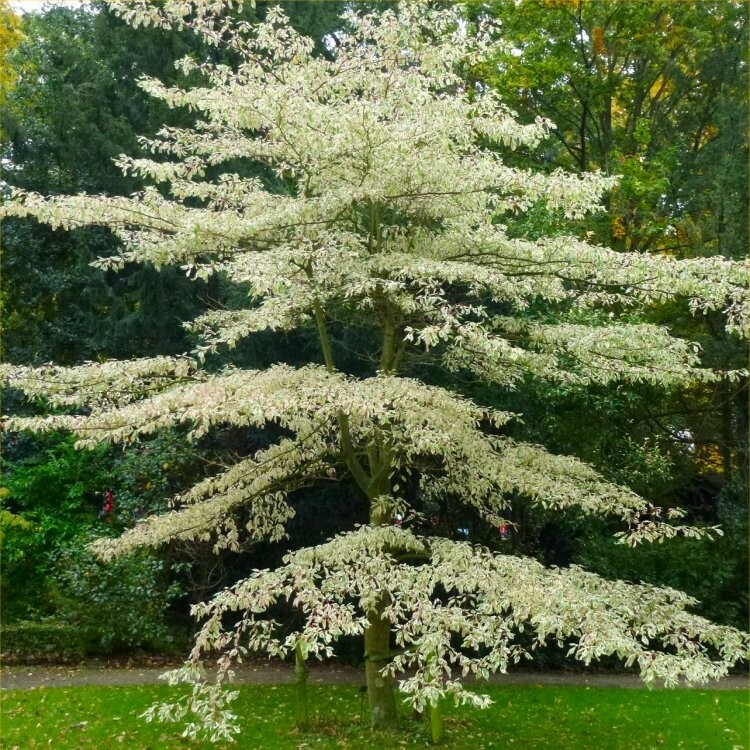 This highly attractive Cornus is known as the wedding-cake tree, due to the presence of a distinctive, horizontal, tiered habit. 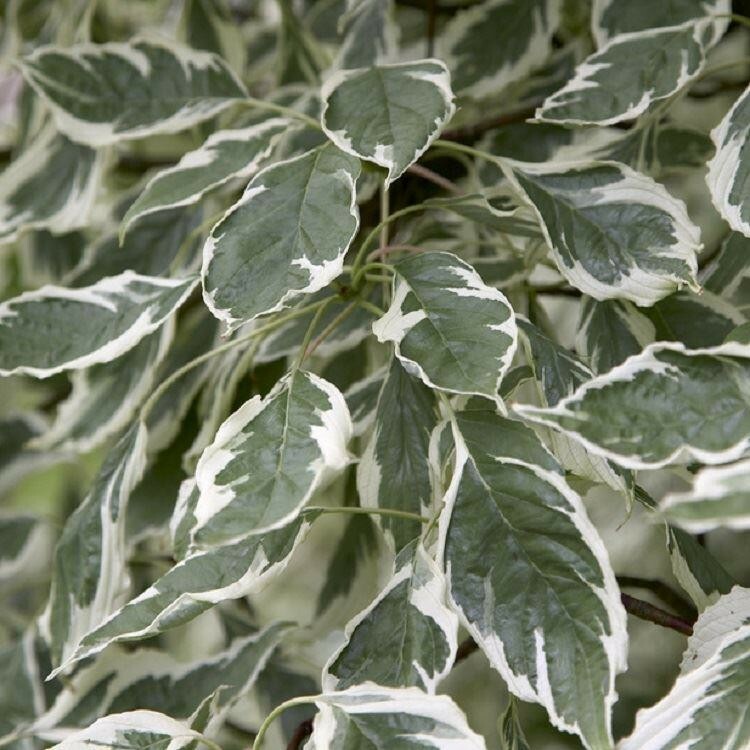 It makes a lovely focal point for small to medium-sized gardens, with its bright green leaves and bold, creamy-white margins which turn red-purple in autumn. 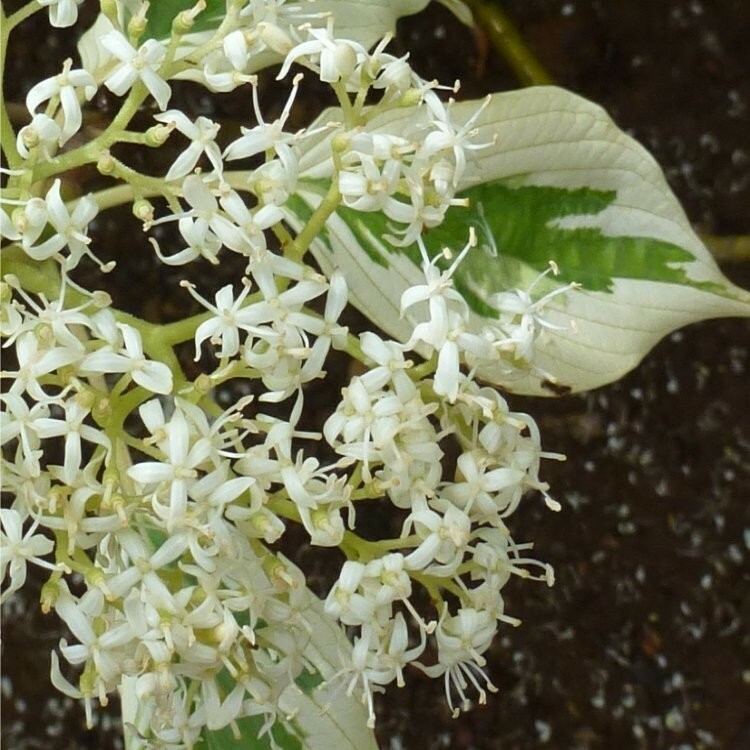 Clusters of white flowers are produced in June. 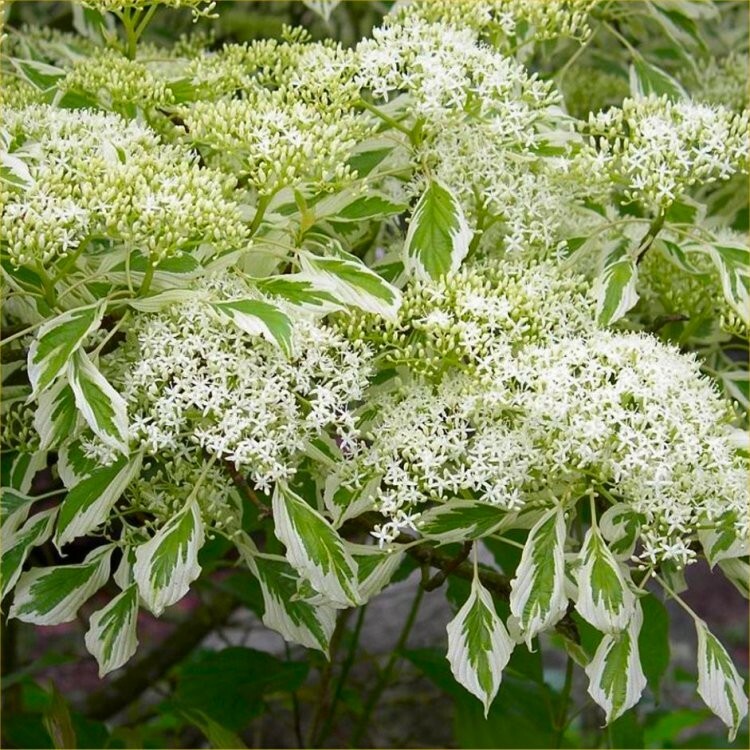 Tolerant of dappled shade, it performs best in fertile, moisture-retentive soil in full sun. Strong plants supplied in approx 2 litre containers, please note that this will not have the tiered branches yet, this spectacular feature develops as it grows.